Quick Thoughts: THE VOICE, "Finale"
So, the first season of NBC's The Voice is done, and to be honest the show was short on surprises, but it was still entertaining. After last night's Finals filled with duets and original songs, America voted, and the top two contestants ended up being Dia Frampton and Javier Colon. Honestly, these two deserved to be the last performers standing after this competition because Javier was the clear favorite from the start, and Dia was able to impress the heck out of a lot of people. Regardless of whether you think she was acting the entire time or not, you have to admit that she's an impressive talent. The bottom two performers, Vicci Martinez and Beverly McClellan also deserve some respect because they really gave it their all, and earned their spots. While, I was never really pulling for either one of them, I have to say that they did win me over. Vicci morphed from a folksy type singer to a flashier performer thanks to Cee-Lo, and it worked for her. At first sight, I thought that Bev was a one-trick pony out of her league, but she really impressed me by season's end. But, it's all about Javier and Dia. After all of the votes were tallied, Javier won by a slim margin to be crowned the first ever Voice Champion. While I still love Dia, and was rooting for her since the blind auditions, this was how it was supposed to end. She was supposed to be the scrappy underdog to Javier's early favorite, but he was always going to win. He has the voice, the look, the skills, and the story to be a star. Dia's going to be fine, but Javier need this win and he deserved it from day one. As for the show itself, it does need to iron out some of the kinks and maybe reign in some of the gimmicks, but I was entertained week in and week out. 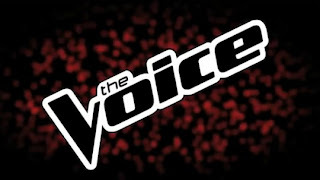 By far the best element of The Voice was the coaches, especially towards the end, and I believed that they truly cared about these artists for the most part (I still think Christina made it about her, but oh well). Even those final moments, when Adam and Blake were nervous for Javier and Dia, I believed it. In the end, I was glad that Adam and Blake were the final two coaches because I always felt that they were the most invested in their performers, but Blake may have been the break out star just like Dia. I am a little worried to see if these four coaches comes back for Season 2 because I don't know if they'll be able to keep the magic going. Plus, seeing them fall all over new contestants might take away from what made this season special. It'd be hard for me to see Blake tell someone new that he or she is family to him. That being said, I'd be happy if he and Adam come back, and I wouldn't be saddened if Cee-Lo and Xtina are replaced. I just felt the former added more to the experience than the latter two. Another thing that worked in The Voice's favor was the fact that you wouldn't see these kinds of performers on American Idol. To be fair, I don't watch Idol, so my opinions are based on generalizations, but I've always thought that show was about finding young, attractive, pop stars. Sure, talent goes a long way on AI, but I also think their contestants have to have a certain look to them. I truly believe that Javier, Vicci, and especially Beverly wouldn't have lasted long on Idol because they don't have a young and hip vibe. Even Dia probably wouldn't have gotten a fair shake on that show because of her personality. But that's why I watched The Voice instead of American Idol. I don't care about pop music or the product AI is selling, and I'm more likely to buy a Beverly McClellan album before I even look at one of Scotty McCreary's. By its very definition, The Voice was not original, but it felt unique and new to me. Some of the silly gimmicks became more of a distraction than an asset, but they were fun, and in the end the formula worked. I don't know how many more seasons I'll be invested in this show, but it was a good first run, and I was even convinced to buy some tracks on iTunes, which is something I've done before, so it must have done something right.